Fluid statics is a branch of physics that deals with the fluids in the state of rest and its properties like density,pressure and upthrust. Density is the property of a body which measures how its mass is distributed over its volume. 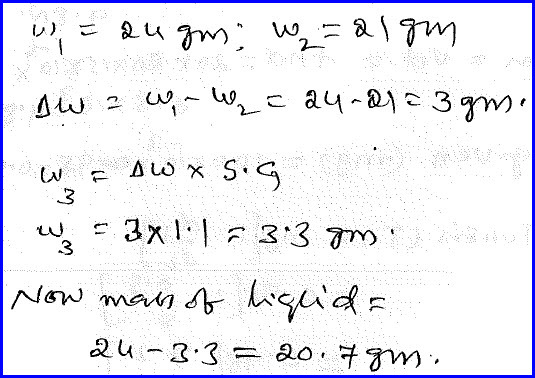 If density is more, its more mass is concentrated in a small volume and vice-versa. 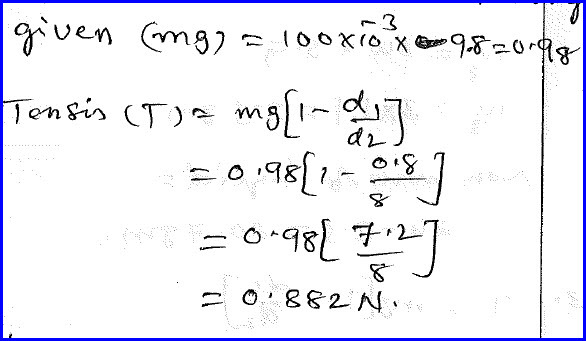 Pressure is defined as the force experienced by a body per unit surface area. In this case, force is acting on the body in all directions and hence it changes the volume of the body. Every body in a fluid experience a resultant upward force and it is called upthrust or buoyant force.It depends on the volume of the fluid displaced by the body when it is immersed in the fluid, density of the fluid and acceleration due to gravity. If the body is completely immersed in the fluid, volume of the fluid displaced is equal to the volume of the body itself. A body is floating in the water in such a way that six parts out of ten parts of its volume is inside the water. We need to measure the density of the water and the problem is as shown in the diagram below. When a body is under water, we know that it experience upthrust. As the body is in the equilibrium state, its weight is balanced by the upthrust and they can be equated mathematically. 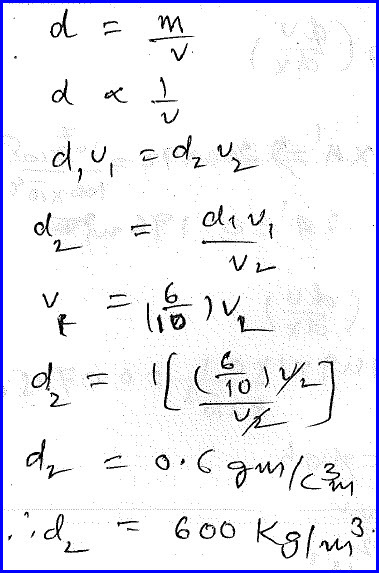 In the place of weight, we can write the product of volume of the body with its density. Volume of the fluid displaced is six parts of volume of the body as only that much is immersed in the fluid. By applying this data, we can solve the problem as shown in the diagram below. A brass sphere weights 100 gram weight in air. It is suspended by a thread in a liquid of known specific density. If the specific density of the brass is also known, we need to find the tension in the thread and the problem is as shown in the diagram below. Weight is given in gram weight. We need to convert not only gram into kilogram, we also need to multiply it with acceleration due to gravity so that we are converting it into force that is measured in newton. Tension and upthrust acts in upward direction and weight of the body in the downward direction. As the system is in equilibrium position, we can equate this upward and downward force and solve the problem as shown in the diagram below. 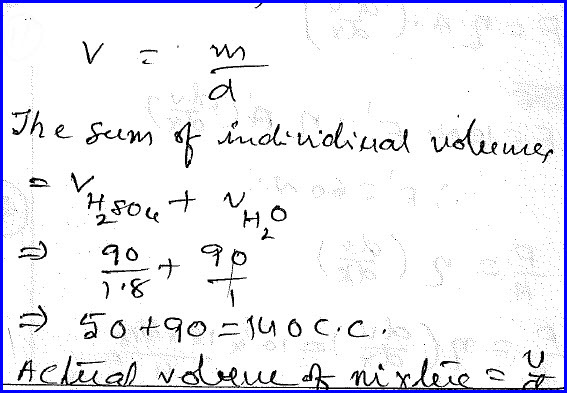 We need to write the total volume initially is the sum of volumes of the first and second ones and it is to found using the definition as the ratio of mass to the density of the each one as shown in the diagram below. 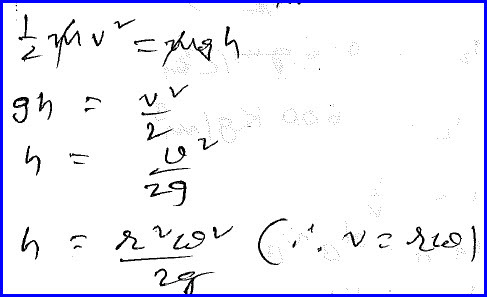 This much volume is supposed to be there but we can also find out the actual volume available using the data like total mass of the system and the effective density of the mixture and as shown below it is different from the supposed to be the volume measured in the first case. Hence the difference between is the loss of the volume. It is further solved as shown in the diagram below. Weight of a solid in air, in water is given to us in the problem as shown in the diagram below and we need to measure the weight of that body when it is completely immersed in a liquid of known specific gravity. We can find the loss of the weight of the system as the difference between weight of the body in air to the water. Loss of that weight multiplied with the density of the new system, we can find the loss of the weight of the body in that fluid. Actual mass of the body in the fluid is the difference between actual mass of the body in air to the loss of the weight in the fluid. The solution is as shown in the diagram below. 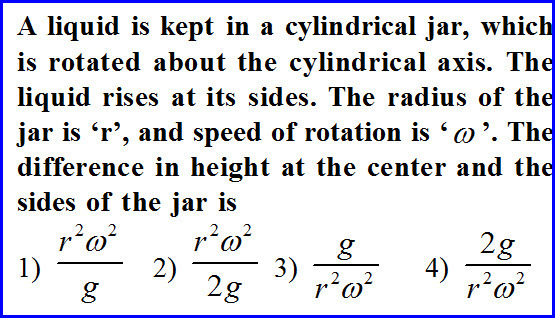 A liquid is placed in a cylindrical jar and it is rotating about its axis. If radius and angular velocity of the cylinder is know to us, we need to know the difference between the center of the liquid and rise of the liquid at the sides and the problem is as shown in the diagram below. The kinetic energy of the fluid is converted into penitential energy and hence as per the law of conservation of energy, we can equate them. We need to replace linear velocity in terms of angular velocity and radius of the system and the problem can be solved as shown in the diagram below.